You will find our office and the entrance to our forest on the left side of the road leading to Andasibe village, 2 km after the turn off Route National 2 between Antananarivo and Toamasiana and 200 m before Andasibe National Park. By the way, did you know that the famous BBC series with David Attenborough observing the Indris were filmed in the Mitsinjo Park? Entrance fee and guide included (free for children under 6 years) Please pay at our office. We will issue you an entrance ticket. We have sheltered campsites available near our office for your use. Prices below include fuel, driver, and are for up to 5 people. Please call+261 34 96 876 74 to book the vehicle and driver rather than contacting us by email. We hope to arrive tuesday 21 around midday by taxi-brousse. Is it possible to do a walk and maybe an evening walk and to stay the night? How much is it to sleep in hammocks? Thanks for getting in touch. Yes, there should be time to arrange a night walk if you arrive in the day. You could also try to fit in a short afternoon hike on the short circuit if there is time. Hammocks can be setup under shelters near our office for 10,000 Ar/campsite. All of this can be arranged when you arrive at our office/reception area, which is a yellow and green building ~200 meters south of and opposite the national park. Hope to see you soon! Hi, if I would like to visit Mantadia with you, are the guide fees for visiting Mantadia already included when booking the transfer Andasibe-Mantadia with you? Or would I have to pay transfer, guide fees and entry fees for the park? please advise : is it possible with your private vehicle service to leave between 0600-0700 am on nov 17 2018 ? We are two people and want to share the price with other travellers if possible. We have a flight at 2.30 PM to Addis Abeba. This should be possible. When you arrive in Madagascar, please call +261 34 12 904 82 to check. All costs are included. You might consider leaving the day before and staying in Tana to ensure you make your flight in case of something unexpected on the road, but if you leave by 6-7am it should possible to arrive to Ivato in time. I have been to Madagascar 3 times and I am planning a long trip again next summer. I have also been to Mitsinjo Reserve twice (2013 and 2015). 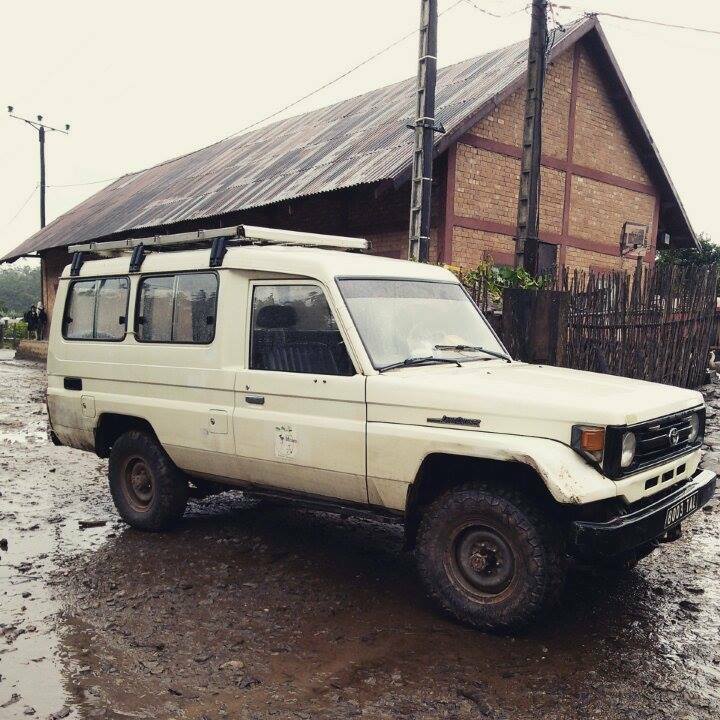 I used your vehicle in 2015 to visit Mantadia NP for a few days. I was also trying to rent it for a much longer time, but the guide that took me to Mantadia NP told me that the car was not available for that many days and for longer trips. Is this still the case? Did you invest in another 4×4, or is it still the same car that you have had (back in 2015)? I would like to rent a 4×4 for at least 30 days and I would like to know if it is possible with Mitsinjo. I want to have full access to the car (not just paved roads). Please let me know. Yes, there are three vehicles now but none are available for 30 days. If you wanted to use them in the Andasibe-area on and off over the course of 30 days that might be possible but is best arranged in person once you arrive. Glad to hear you are coming back and we look forward to seeing you soon. Ok, Perhaps I can use it for Mantadia again. How about Lac Alaotra? Mantadia will certainly work. When you arrive, ask about Lac Alaotra. We have taken tourists in the past but it depends what other programs are happening at the time. Thanks for your interest. well, that is not really helpful because I like to make plans before I arrive and I don’t like to waste time coming there if I wouldn’t know beforehand if a car is available for me, This is why I am contacting you so far in advance, so I can reserve the car beforehand to avoid disappointment. Coming there first and seeing what is available at that time really is not an option for me. Chances are, the car will be rented and I will not be left with an option on such short notice. Yes, I agree it is probably better to arrange transportation in advance through a car rental agency. Alternatively you could try emailing mitsinjo@hotmail.com and tsierena@gmail.com and see if you can get a confirmation before you arrive. Kk, I think I will consider all my options this point. Thanks for the suggestion. By the way, where are you located? You seem to be replying very quickly and during my hours, so to speak. I am based in the US (Illinois). I no longer have a formal role with Mitsinjo but I still maintain the website.